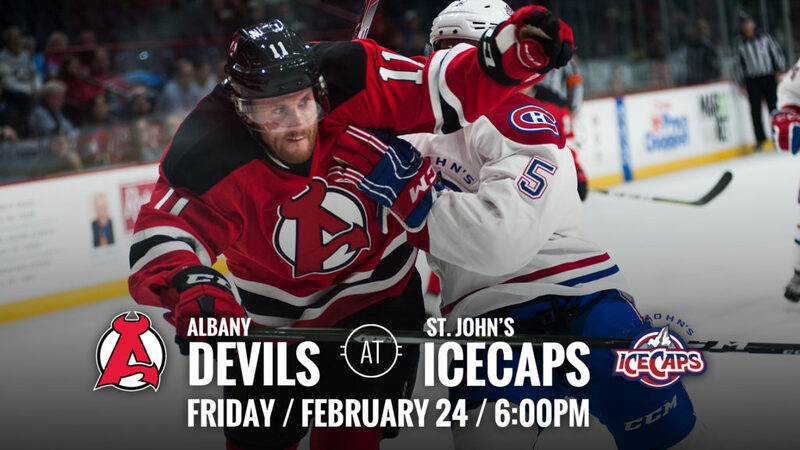 ST. JOHN’S, NL – The Albany Devils travel to face off against the St. John’s IceCaps for back to back games this weekend starting with Friday for a 6:00 pm puck drop at Mile One Centre. 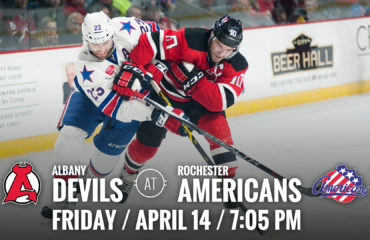 The Devils are coming off a 3-2 loss Monday against the Utica Comets. 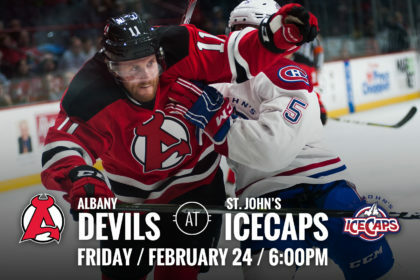 The IceCaps are coming off a 5-3 loss against Syracuse Sunday. 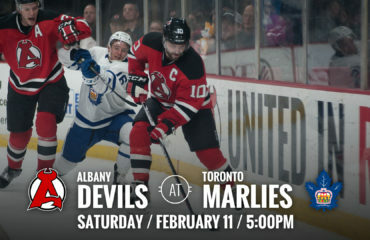 Division Matchup: The Devils currently hold a 30-23-1-1 record and stand at second in the North Division and seventh in the Eastern Conference. The IceCaps are fourth in the division and ninth in the conference with a 24-23-6-1 record. 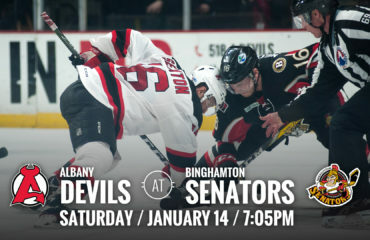 The two teams last faced off in St. John’s on Jan 22, where Albany walked away with a 2-1 overtime win. Point Leaders: When facing off against St. John’s, Blake Pietila holds the lead in points so far this season. He currently has six with five goals and one assist. On the opposing end, Chris Terry holds the lead in points against Albany with six points consisting three goals and three assists. Baby Watch: Carter Camper did not make the trip to St. John’s with the team this weekend as his wife is pregnant and expected to give birth to their second child.